Peter Schiff On The Markets: Will Gold Finally Make A Comeback? Will Gold Finally Make A Comeback? 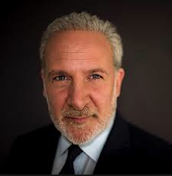 Peter Schiff recently participated in the Ultimate Gold Panel (VRIC) moderated by Kitco's Daniela Cambone. Panel introduction: I don't have to remind many of you that gold has been in a Dead Money trade for a long time now we were above seventeen hundred and twenty eleven but you know for the next four years we've just gone down down down and now we've been stuck in this range of 1,200 to 1,300 so the question is is 2019 the year for gold can it finally make that comeback?